Magpie and Button: New photos! 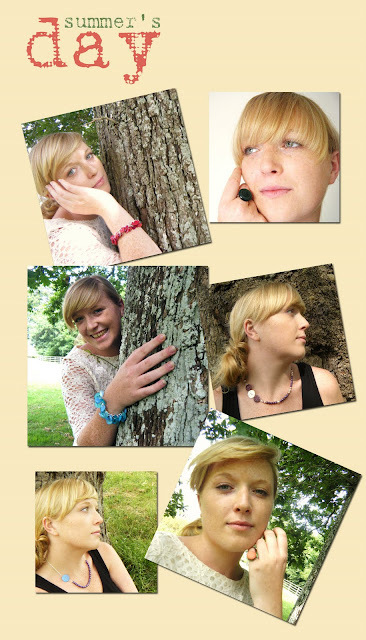 Last week I packed up lots of necklaces, rings and bracelets, grabbed my trusty camera and my model Áine, and we made the most of a gorgeously summery day by heading over to the park for a photoshoot! I think it's great to have model shots of the jewellery, as you can get a better idea of the size of a piece and how it might to look on you, or see how much fun it is to wear buttony jewellery!